Getting it all wrong! A review of: Sculley DLS, Max. Yoga, Tai Chi, Reiki; a Guide for Christians. Ballan Vic. : Connor Court Publishing, 2012. ISBN 9781921421716 (pbk.). 180 pp. This book fails on two counts: it misrepresents the three systems, Yoga, Tai Chi, Reiki, and puts Christianity into a poor light. The weaknesses with regard to these systems are so numerous this review can only tackle a few. With regard to Yoga: Sculley states: the “numerous branches of yoga can may be broadly classified under two categories: hatha yoga and raja yoga”. (pp. 14-15). Thus he ignores the many other very different forms of yoga: the yoga of devotion (bhakti-yoga), the yoga of work (karma-yoga), the yoga of wisdom (jnana-yoga) etc. This is simplistic in the extreme to the point of being false. Let me explain. Our decimal system (numbers 1-10 etc.) is imported from India via the Arabs, but no one who uses it would consider that they are engaging in “the religious beliefs of Hinduism”. Yoga, whether of devotion, of exercise, of wisdom or meditation, is like the decimal system. It can be applied to the various religious traditions. This was point was made long ago by J.-M. Déchanet O.S.B. “Olivier Lacombe, a noted Indologist, points out that ‘in itself the method of yoga is independent of any specific metaphysical or religious context’  since it is used by a whole variety of mutually opposing Indian philosophies. Yoga, like language, is not tied to any specific system but must be tied to some system. Of itself it is neutral. Yoga can therefore be given a Christian base, which, in terms of classical Christian theology, is constituted of infused grace, which can make use of all and any human means.” Karl Jung, the famous psychologist, forecasts that: “Over a period of several centuries the West will produce its own yoga which will be erected on the basis of Christianity.”  Sculley takes no account of the discussions that have surrounded yoga over many years. Where does Sculley get his information from? He does not quote the Yoga-Sutras of Patanjali (circa 180 BC), the foundation text on yoga nor the Hathayogapradipika a famous commentary on hatha-yoga written in the 15th century. It would seem that much of his information comes from Encyclopaedia of New Age Beliefs  since many of the footnotes he gives to chapter 1 and 2 on yoga are taken from that work. But what is the reliability of that work which is primarily concerned with New Age? He does not seem to have done his own research or checked his information. Is Sculley confusing Yoga, Tai Chi and Reiki with what is found in some versions of New Age? If he is really speaking about the New Age reformulation, he should say so. He is not then speaking about the classical formulations of these systems. As a result the reader ends up being misled. Despite his assertion that “Yoga imported from India is inextricably linked to the religious beliefs of Hinduism” he also acknowledges that yoga is found in other traditions. He refers to “all forms of yoga including Buddhist, Sufi, Bede Griffiths’ Hybrid Yoga and Dechanet’s so-called Christian Yoga” (p.18). “2. The key beliefs of Hinduism class head-on with the beliefs of Christians.” (p.14). It is well known that the different religious systems are theologically incompatible. But why does Sculley use the belligerent term “clash head-on”. It does not have the openness of ‘Declaration on the Relationship of the Church to non-Christian Religions’ which states that “the Catholic Church does not reject what is true and holy in these religions”. Thus Vatican II does acknowledge that both truth and holiness can be found in other religions. This is not to say that necessarily all is true and all is holy in these religions, but the phrasing is more balanced that Sculley’s aggressive tone. Sculley’s presentation of Hinduism has many errors. Here are only a few. He says: “the philosophy based on the Vedas, the oldest scriptures of Hinduism dating back to 1500BC, [is] referred to as “Vedantic philosophy”.” (p.14). He confuses the Vedas with the Vedanta which begins about 4th century BC and consists most importantly of the Upanishads which differ markedly from the world view of the Vedas. This error is shown more clearly in the glossary on the term Upanishads which he says is “The final and fourth book of the Vedas”. (p.179) This is simply not the case. The fourth book of the Vedas is the Arthavaveda. The glossary contains many other errors. He says: “Sannyasin: An initiated disciple of a guru”, which is so simplistic as to be incorrect. The sannyasin is when a person, at the fourth stage (ashrama) of life, leaves home to live in simplicity and utter poverty, and is applied only by extension to certain initiates. He says: “Sutra: the written teaching of a spiritual master”. This is so simplistic as to be inaccurate. “Swami: a yogi that belongs to a particular Hindu religious order characterised by celibacy” is again simply incorrect. The glossary term “Yogi” is misplaced and confused. And so on it goes. Do these errors matter? If Sculley does not get the facts right, how reliable is his interpretation? Is he working from emotion or from information? “3. Altering one’s consciousness, a practice common to all yogas, is highly dangerous as it can easily open up the mind to demonic influences and may result in occult powers….” (p.14). The phase “altered state of consciousness”, which Sculley abbreviates to ASC so often does he use it, is given a sinister meaning. He does not appreciate that Christianity is also concerned with developing an “altered state of consciousness” namely the “new mind (Romans 12.2). “In your minds you must be the same as Christ Jesus” (Philippians 2.5). Sculley goes on to describe Hatha Yoga in a way that is skewed. How refute his far-reaching misrepresentation? He says: “The peak of achievement is reached when the mind becomes a void for extended periods”. (p.15) He does not understand what is meant by “void”. Yoga is not a nihilistic philosophy. The ‘void’ does not mean nothingness. The term ‘void’, a term which is found in Hinduism and above all in Buddhism, means that which is free of definition, infinite, free, beyond all human control, indescribable. True, it is not personal but that does not make it demonic. In the Christian tradition, Gregory of Nyssa (4th century), a Father of the Church and the ‘father’ of Christian mysticism, says in his seminal work The Life of Moses “When, therefore, Moses had progressed in gnosis, he declares that he sees God in darkness, that is to say that the divinity is essentially what transcends all gnosis and all comprehension.” This experience of knowing God in darkness and ignorance is found throughout Christian mystical teaching, as for example in the medieval work significantly entitled The Cloud of Unknowing or in the term ‘Dark Night of the Soul’ famously described by St John of the Cross. The ‘void’ is not the same as ‘the learned ignorance’ (docta ignorantia) of the Christian tradition but it bears comparison. Sculley objects to the state of “becoming aware that (s)he is divine” (p.15). Yet the aim of becoming divine has been fully received into Christianity. St Athanasius (4th century) famously states: “God became man so that man might become God”. St Peter himself speaks of becoming “partakers of the divine nature”. When Sculley says: “the realisation of one’s own divinity, [is] a concept utterly at odds with Christianity”, he is ignoring the long tradition of theosis (divinization) found in the greatest Christian writers, especially in the Orthodox tradition. I am not trying to say that all is perfect in yoga and in the yoga practitioner. There are worthy and unworthy teachers, true and skewed doctrine, fine insights and limitations. But the same is true of all religious traditions. In chapter 4, which bears the insulting title “Monkeying with Minds in the Monastery”, Sculley dismisses Bede Griffiths osb, Thomas Merton ocso and Centering Prayer promoted by Thomas Keating ocso. Why does Sculley not also oppose ‘Christian Meditation’ promoted by John Main osb and Laurence Freeman osb especially as John Main’s debt to an Indian guru is publicly acknowledged? Sculley quotes Father Dreher in support of his views against C.P., although Fr Dreher is not a reliable guide. In the glossary Sculley says that Centering Prayer is “a technique of entering into an ASC through the repetition of a sacred word.” (p. 168) That is a travesty of C.P. How can Brother Sculley be so sweeping? Is he like John Dreher, setting up straw figures which he can easily shoot down? Sculley refers to the ‘Letter to the Bishops of the Catholic Church on some aspects of Christian meditation,’ published by the Congregation for the Doctrine of the Faith on October 15, 1989. He supposes the letter condemns all forms of Eastern meditation. It does not. On the contrary Cardinal Ratzinger (later Pope Benedict XVI) explains the purpose of the letter. It is published in order that “the many different forms of prayer, including new ones, may never lose their correct personal and communitarian nature.” He is not opposed to the use of new methods but only wishes to maintain the essential Christian character of all prayer. Sculley cites many horror stories as though these can justify his overwhelming rejection of yoga. Such anecdotes prove nothing. One could tell many stories about the misuse of Christian teaching in our own day also. Scandal obscures the truth of the Christian faith but does not destroy it. Similarly for other traditions. Sculley goes on to talk about ‘kundalini’ and describes it simplistically as “a Hindu goddess ….. at the base of the spine. [She, like a snake] is metaphorically pictured as rising up the spine and being finally united at the crown chakra with her consort, the Hindu god Shiva.” (p.18) The presentation is misleading, for Sculley confuses the undoubtedly Hindu description with the experience itself. Could one not express a similar experience in Christian terms as follows: in the context of prayer, one’s whole being, from its very foundation to its highest point, is filled with the power of the Spirit? One thus brought into unity with the Triune God and with all creation. I do not mean to say that the kundalini experience is the same as the Christian experience, but that we must not confuse the description of an experience with the experience itself. One must not be misled by the imagery of the description. In Part B of his book, Sculley turns his attention to Tai Chi which is not my field. On page 79 he gives his thesis which is identical with the thesis on yoga (except that he uses the phrases Tai Chi and Taoist philosophy). 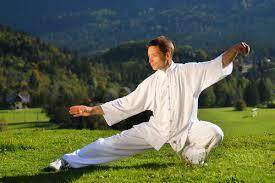 He speaks of knndalini again (p. 88) although it does not form part of the vocabulary of Tai Chi. And again there is the fear of the void. (p. 98) He sees a difference in that the Christian God is personal while Chi is impersonal. Yes, that is a difference, but it must not be demonized. Sculley is right in opposing those Christians who do not see the differences and interpret Chi simplistically in Christian terms (cf. p 101). But in opposing this misinterpretation he feels he must demonize Tai Chi. Why? We would ask him to have a more measured and educated tone. In Part C he tackles Reiki. I refer readers to my earlier composition on Reiki. · Reiki is not Christian healing. · Reiki contains elements of a religion. · In the underlying belief system of Reiki, there are both monistic and pantheistic tendencies. This is undoubtedly correct. However, it is a measured statement. Why the wild hostility of Sculley to every aspect of Reiki? Is there not some good here? Sculley notes that some forms of Reiki involve spirit-guides to assist in the healing process and quotes the Guidelines which say that “this introduces the further danger of exposure to malevolent forces of powers”. Yes, in some forms of Reiki, but is this the case in all? Is there not a mixture of good and bad in Reiki as in all religious practitioners of religion. The document gives the directive that “It would be inappropriate for Catholic institutions …. to promote or provide support for Reiki therapy”. It is a statement about the proper focus that should exist in Catholic institutions. It is not a wholesale condemnation of Reiki. On the information supplied by Sculley, therefore, the Guidelines are a measured and balanced statement. Sculley’s work, in short is an uneducated presentation of Yoga, Tao Chi and Reiki. It confuses the doctrines of these traditions with the vagaries of New Age. It is an emotive response which sounds fearful and in the end is rather laughable and a bit crazy. It thus brings discredit on the Catholic faith since Brother Sculley is a member of the respected De La Salle congregation. His book is a regrettable work. The following statement on Tao is from: Pontifical Council for Interreligious Dialogue, Journeying Together; the Catholic Church in Dialogue with the Religious Traditions of the World. Citta del Vaticano: Liberaria Editrice Vaticano, 1999. pp. 58-59. “The Tao is a mystery which is at once transcendent and immanent. Spiritual cultivation of the self is emphasized in Taoism. One achieves this by awakening oneself to the virtue of wu-wei, non-action or non-striving. Non-action does not mean passivity but rather acting without hypocrisy, acting without becoming a slave to one’s actions. When, through various interior practices, one refines one’s physical purity (ch’i), one is awakened to the inner self and become an immortal, new self in union with the Tao. This is how one preserves one’s integrity even in situations of disorder. Rev. Dr. John Dupuche is Pastor Emeritus, and formerly Parish Priest of Nazareth Parish, Ricketts Point, Melbourne. He served for ten years as the coordinator of the Australian commission for Monastic Interreligious Dialogue. He is senior lecturer at MCD University of Divinity, and Honorary Fellow of the Interreligious Dialogue Network at the Australian Catholic University, and chair of the Catholic Interfaith Committee of the Archdiocese. He is on the executive of the School of Prayer within the Archbishop’s Office for Evangelisation. He has a doctorate in Sanskrit, specialising in Kashmir Shaivism and is particularly interested in its interface with Christianity. His book: Abhinavagupta: the Kula Ritual as Elaborated in Chapter 29 of the Tantraloka was published in 2003; Jesus, the Mantra of God in 2005; and Vers un Tantra Chrétien in 2009 (translated as Towards a Christian Tantra). He has written many articles in these fields. He lives in an interfaith community. Olivier Lacombe, ‘Experience du yoga et christianisme’, in Vie spirituelle, Suppl. 10 (1957) 111-126.112. Lacombe, ‘Expérience du yoga p.112. ‘Yoga and Hesychasm’, in Orientale Lumen: Australia and Oceania 2000 Proceedings. Lawrence Cross and Edward Morgan (eds.) Australian Catholic University, Melbourne, 2001. pp.69-80. Pie-Raymond Régamey, ‘Un yoga chrétien?’, in La Vie Spirituelle, 93 (1955) 135-151. p.150. Encyclopaedia of New Age Beliefs by John Ankerberg and John Weldon Harvest House Publishers, Oregon, 1996. Vatican Council II, Nostra Aetate, paragraph 2. The Life of Moses II.162-163. Here is part of a letter I wrote some years ago on an article by John D. Dreher. This entry was posted in Controverted questions, Hindu Christian relations, Interreligious dialogue, Reiki and Christianity, Tai Chi and Christianity, Yoga and Christianity. Bookmark the permalink. 1 Response to Getting it all wrong! A review of: Sculley DLS, Max. Yoga, Tai Chi, Reiki; a Guide for Christians. Thank you for your well-balanced comments. My thoughts exactly.